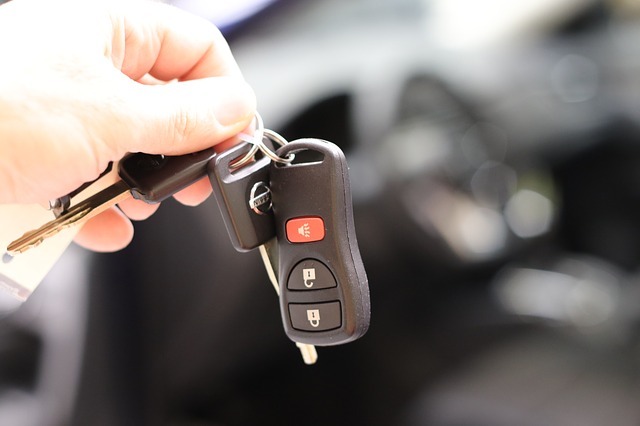 This strategy essentially involves two components that you have the ability to negotiate with the dealer if and when you are seriously considering leasing. These are the two components that are responsible for the biggest chunk of your monthly payment — the depreciation fee. 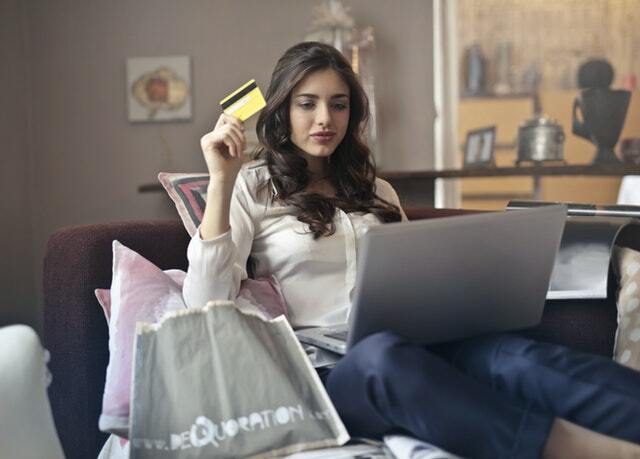 Keep in mind that the depreciation fee also influences the other two parts (the finance fee and sales tax) of your monthly car payment which makes this strategy crucial to getting a fantastic deal. Negotiate with the dealer to bring your selling price as low as possible. Negotiate with the dealer to bring your residual value as high as possible. When it comes to the residual value, there is not much you can do if the dealer tells you that residual value cannot be changed and is set in stone by the finance company. However, if you really want a great lease payment, you should only consider cars that have high residual values. Let’s take a look at the selling price. How can you get the lowest selling price possible in order to get the lowest monthly payment? Well, the most important thing you can do before even stepping foot on the dealer’s car lot is to look up the invoice price for the car you are seriously interested in leasing. In fact, if you cannot memorize the invoice price, you should write down the exact value and take it with you. The invoice price is how much the dealer pays the car manufacturer in order to buy the car and put it on his lot for customers to come and look at. 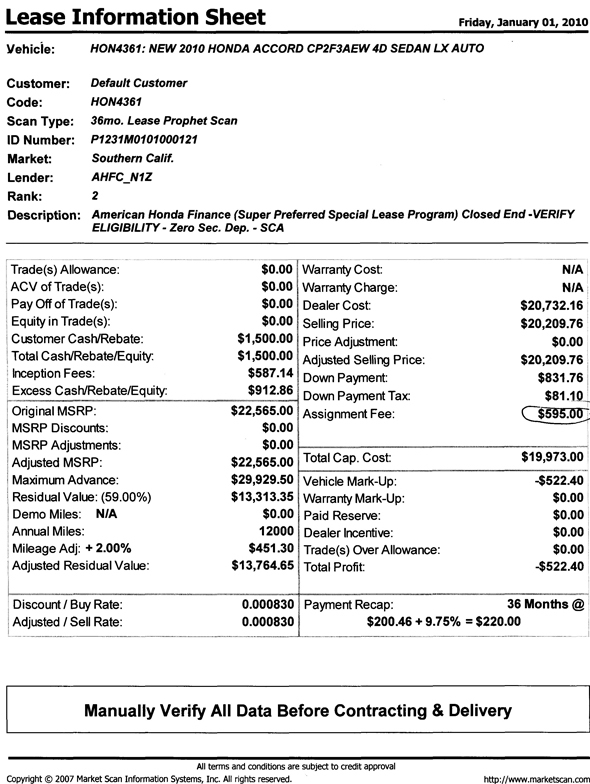 Why should you know what the invoice price is for the vehicle that you’re interested in leasing? Because that helps you determine just how low the dealer can bring the selling price. Remember, the dealer can sell the car to you at a price that is under the invoice value! This would be the most ideal scenario for you! If the dealer gives you a selling price that is significantly below the invoice price, congratulations, you got yourself a platinum deal. So what are the steps you take in order to get the lowest selling price possible? Upon entering the dealership, ask to see the sales manager. This is the guy that usually comes around after the salesman has shown you the car and finds that a deal is ready to be made. Tell the sales manager that you have done your research, and that you have a good understanding of how a lease payment is calculated. He will probably ask you whether you are looking to lease or purchase the car and you should tell him that you are not sure yet and that it really depends on the selling price he can offer. If he tries to beat around the bush tell him that you understand that the selling price is one of the most important factors for getting a low monthly payment for a lease and that you’re trying to get the best deal possible. Try to negotiate the selling price to get it as low as you can before he gives you an offer. When he gives you an offer tell him that it sounds like a decent deal but ask him to give you a print out of all the details of the lease. This print out shows you all the numbers that they used to come up with your final monthly payment. It includes items like the selling price, net cap cost, down payment, residual value, and money factor. Most importantly, it states your exact monthly payment. It is EXTREMELY important that you obtain this “lease information sheet” because you will be using it in part 2 of this strategy. After you have obtained the lease information sheet, tell the sales manager that the deal looks pretty good, but you need to look at some other cars that you’re interested in before signing the deal. Thank them and walk out. Here is what a lease information sheet typically looks like. This example below actually represents the final offer that I accepted for the Honda Accord that I recently leased. In the Part 2 of this strategy, I will show you what you need to do after you have successfully obtained the lease information sheet. This strategy is what really makes your payment drop lower and lower after each successful step.